25/1 Watt fixed mount marine radio with JIS7 rating. 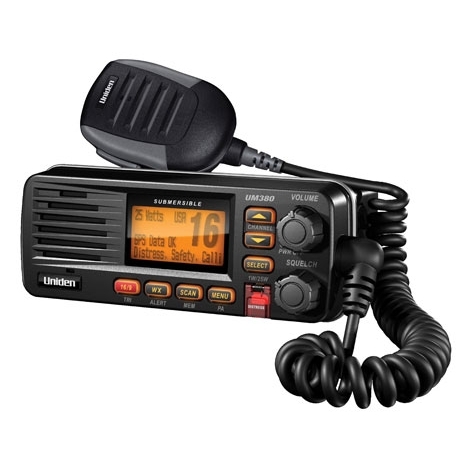 Features all USA, Canadian & International channels, Rugged microphone with instant channel 16/9 & triple watch keys, Class D DSC (Digital Selective Calling), large easy to read back-lit orange LCD Dot Matrix display with dimmer control, 10 weather channels with S.A.M.E. emergency/weather alert, programmable channel scan & triple watch. 3 year warranty. In black.